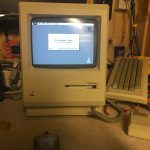 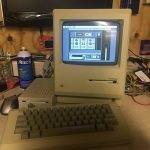 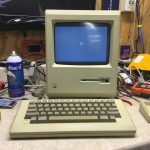 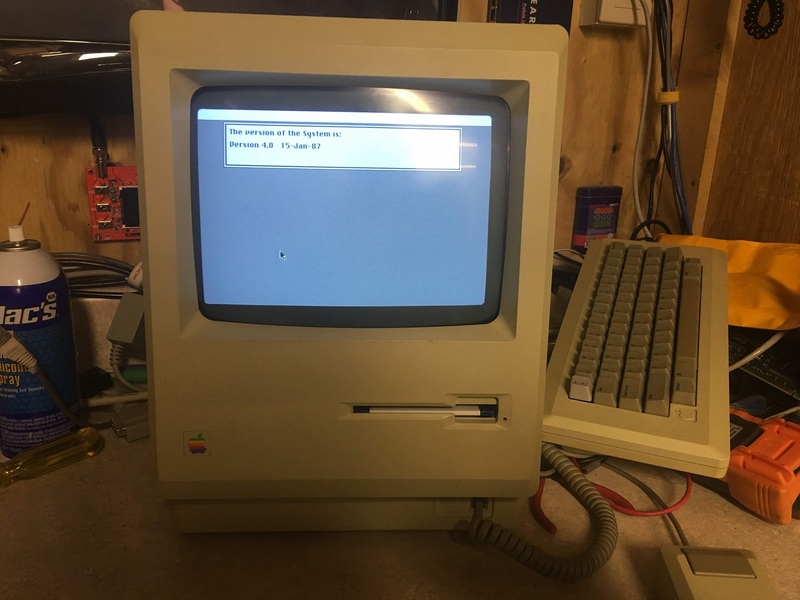 My Macintosh 512k (added to my collection in 2018). 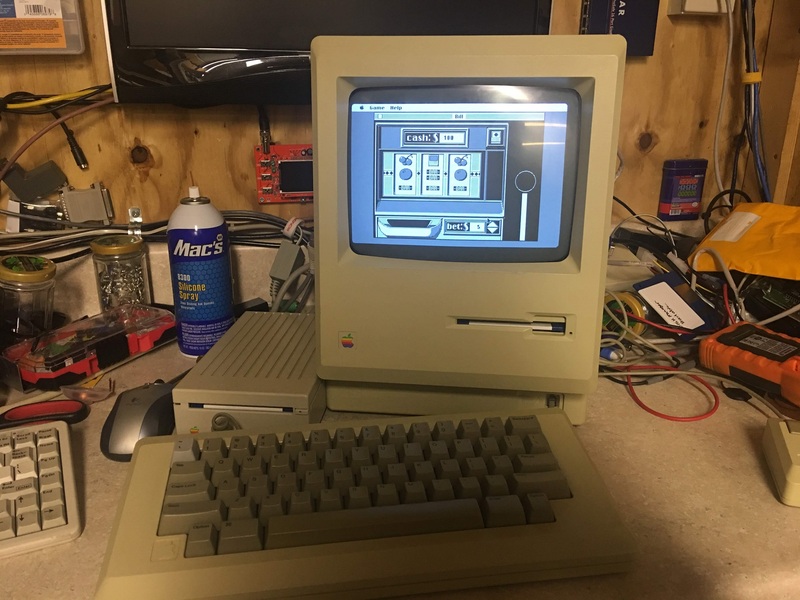 This was recent acquisition from BitHistory.org, a friend and I met up with Garrett for a fun weekend of “geeking out“. 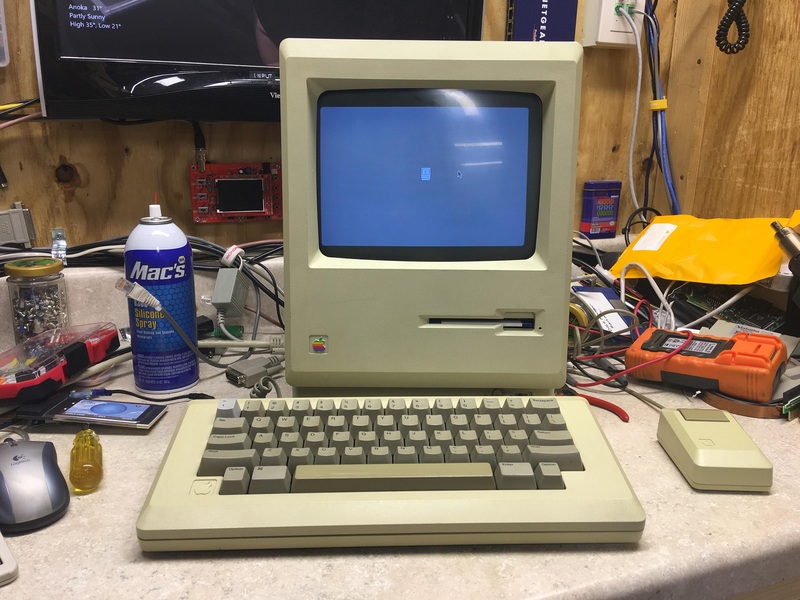 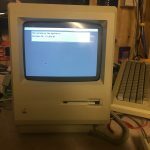 The floppy drive in this “fat mac” was completely seized up, it required a lot of silicone spray and machine oil to free it up, but once I got it freed up, it worked great! 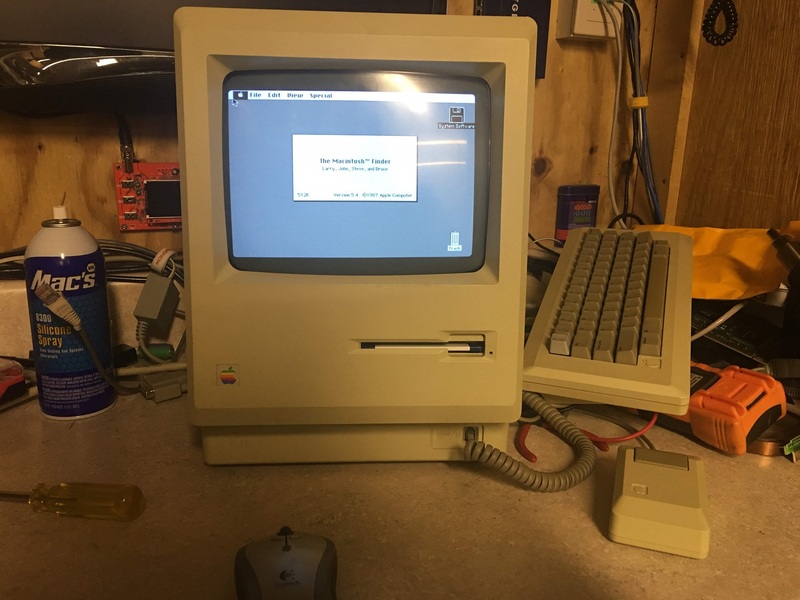 The keyboard was also missing a key, I had a broken platinum keyboard from a Mac Plus that I robbed a key switch and key cap from to repair this, it doesn’t quite match up, but it works, and it’s close enough for now.